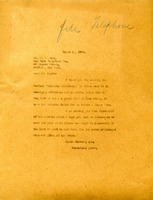 Mrs. Webb requests that she be sent printed information about the school and surrounding area. 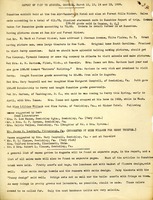 L. K. Watrous offers a selection of adventure romance novels to the Berry Schools library. 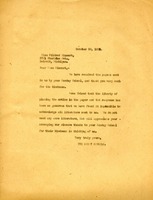 Watrous assures the books are of a respectable moral standard and fit for young minds. 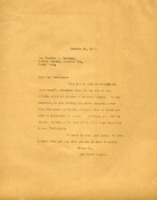 Miss Berry thanks Mr. Boyd for sending the Buffalo telephone directory and sends him literature to interest others in the work of The Berry Schools. 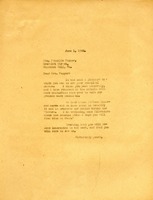 Oreon Smith writes to ask Miss Berry about the literature she supposedly sent under seperate cover since he has not received it yet. 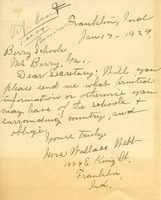 Miss Berry writes to thank the Sons of the American Revolution for their interest in the work of the Berry Schools and encloses some literature about the schools. 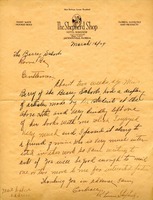 Mr. Sherwood writes to inform Miss Berry that the Sons of the American Revolution are interested in the work of the Berry Schools and to request some information about the schools. 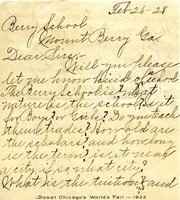 K. Louise Shepherd writes to request literature about the Berry Schools to pass on to her interested friends. Mrs. Schenk asks the Berry Schools many questions relating to the foundation of the schools. 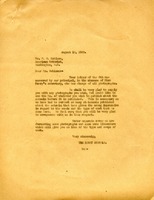 The Berry Schools write to Mr. Robison to inform him that they will enclose photographs and literature for his piece but ask that he submits a manuscript for approval before publishing it. 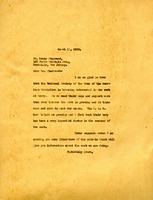 A letter from Martha Berry to Mrs. Popper, in which she expresses her praise for Popper's gardens and her desire for Popper to take interest in Berry's gardens as well. 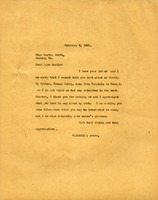 Letter to Martha North from Martha Berry informing her that she had her letter but that she is sorry to inform her that she cannot tell her much about her family. She tells her about her father and where he came from, Virginia, but that they didn't have a relative in the west. 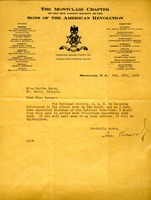 She thanks Miss North for being interested in her work and sends her some literature that she says that she might be interested in. 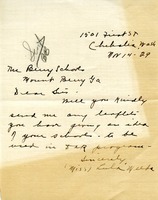 Miss Berry also informs Miss North that she is returning her niece's picture.